If you’ve been longing for those early aughts glory days of spending hours IM-ing your friends while downloading the latest Blink 182 release (actually a mislabeled Sum 41 song), then you’re in luck: Rhapsody is re-branding itself under the Napster name and logo. The re-branding comes in the wake of years of slowed business for Rhapsody, thanks to the rise of services like Spotify, Apple Music, and Tidal. Indeed, Variety reports that Rhapsody recently laid off workers and is closing its San Francisco office. 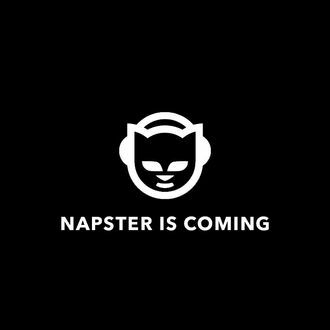 So, facing a slow march into the silent night, the company has announced its latest survival plan: Resurrect the Napster name. Napster, the file-sharing service that turned us all into free-music-loving pirates, was bought by Rhapsody from Best Buy back in 2011, years after its peak popularity. While Rhapsody has been operating under the Napster name overseas since then, it’s only now making the shift in the U.S. The re-branding is a change in name only; subscribers will keep the same services, prices, and playlists, but the company is banking on America’s love of nostalgia. Remember how you convinced your parents the software wasn’t going to give your computer a virus and they actually believed you? Good times.